We're drawing ever so close towards the end of Christine's Rankings for 2017, with just two weeks after this one for drivers to get some last minute points on the board. That being the case, you're needed more than ever, to let me know of anything you've spotted that might be pointsworthy. Ricciardo has a healthy lead, but there have been bigger swings than that in the past, so it really could all change before the season is up. This week, those Red Bull drivers are up to mischief again, getting their rhythm on whilst standing on a rooftop. There's also a lot of people taking part in hobbies - hiking to famous landmarks, getting back in a kart, scuba diving and much, much more. +1 Max Verstappen: Nice training montage, although what is the wrestling a giant ball exercise all about? +2 Valtteri Bottas: Quite enjoying paper square head Bottas. Adorable! +4 Felipe Massa: Still mad at the second retirement thing but you can't argue with this! +1 Fernando Alonso: Formula One's newest and cutest couple! 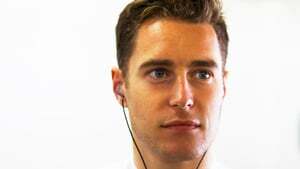 +1 Stoffel Vandoorne: Formula One's newest and cutest couple! +1 Esteban Ocon: Oof, that's a quick getaway! +1 Marcus Ericsson: I do like a good swimming selfie. +1 Lewis Hamilton: Well jealous of his Macchu Picchu experience, although a little too much information shared. +1 Romain Grosjean: Spot of karting in the desert and a drone to capture it all! +2 Max Verstappen: Brilliant antics as the boys try their hand at Capoeira. +2 Daniel Ricciardo: Brilliant antics as the boys try their hand at Capoeira. +2 Romain Grosjean: He actually did go and write a cookbook!